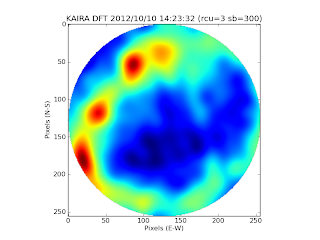 Yesterday we managed to take our first all-sky image with KAIRA. The observing frequency is 59.6 MHz and we used the entire LBA array. First all-sky image with KAIRA. A 1-second integration at 59.6 MHz. The image is not calibrated (in fact, we still have a long way to go). 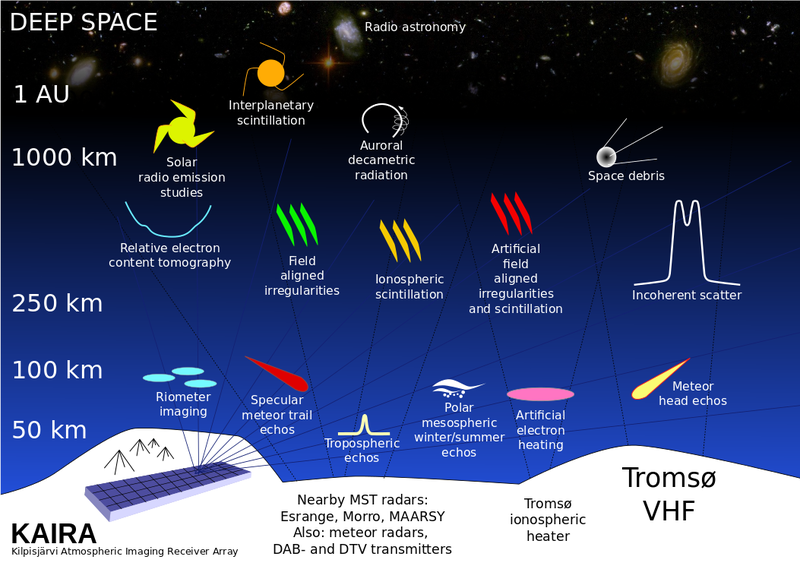 However, there are still a number of features visible: The three red areas on the left are (from bottom to top) the galactic plane, Cyg A and Cas A. The amber-coloured patch just to the right of Cas A is probably a calibration effect. The next step is to acquire calibration data and determined better solutions for the amplitude, phase and delay errors. Getting this far has been a lot of work, so thanks to everyone who has helped achieve this. 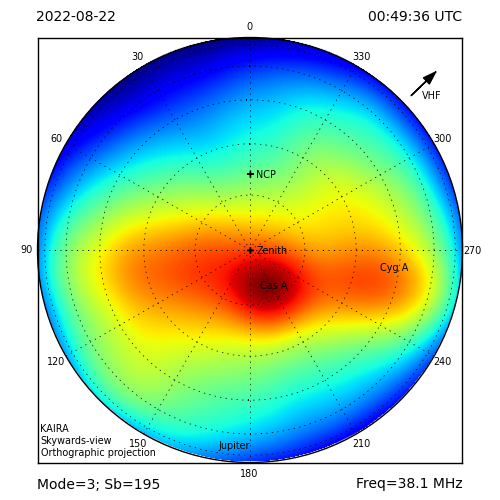 Ionospheric Scintillation with KAIRA Mode "357"